Binance, the world’s largest cryptocurrency exchange by adjusted trading volume, has released a new video demo of its decentralized exchange, dubbed Binance DEX, ahead of its launch in early 2019. 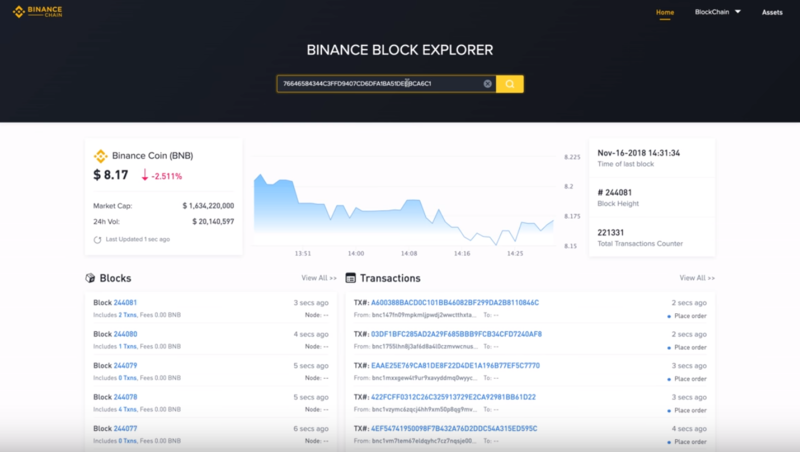 Released Wednesday, the video demonstrates the trading interface of Binance DEX, along with a web crypto wallet and the explorer for Binance’s native public blockchain, Binance Chain, which the firm says will be made available on a testnet soon. Based on the video, Binance DEX will have a very similar interface to its existing centralized exchange, with some additional features. For example, it includes an option to generate a 24-word mnemonic seed phrase for users’ private keys, a “balances tab” to inform users of the status of their accounts and a “user icon” in the navigation bar that shows individual wallet addresses. With the blockchain explorer, users can search for an individual block and view transactions included in a particular block, the demo explains. “User funds on the DEX will be secured with decentralized wallet applications like Trust Wallet, which has a server-free infrastructure that stores private keys only on the user’s device, meaning only users have access to their funds,” Binance said in a statement on Wednesday. 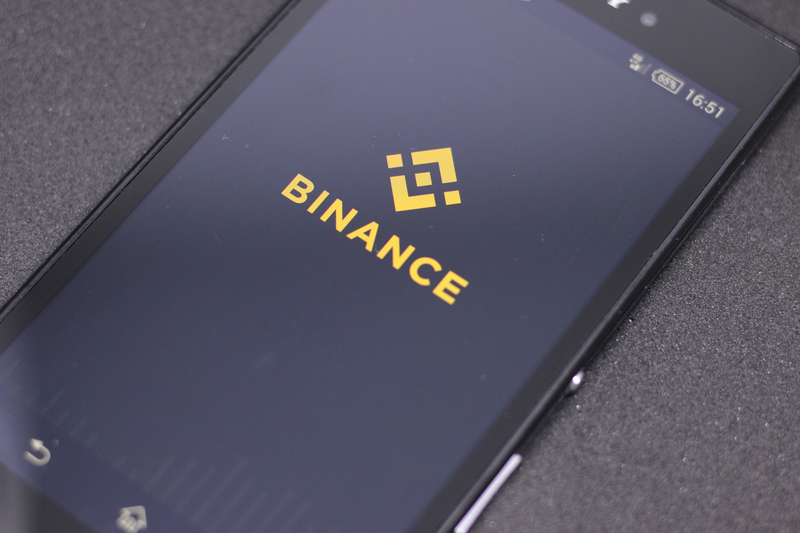 With the DEX, traders will be able to send and receive Binance’s own BNB tokens and other coins via trading pairs, Binance said, adding that while BNB is currently an ERC-20 token, it will soon be migrated to Binance Chain upon its mainnet launch. 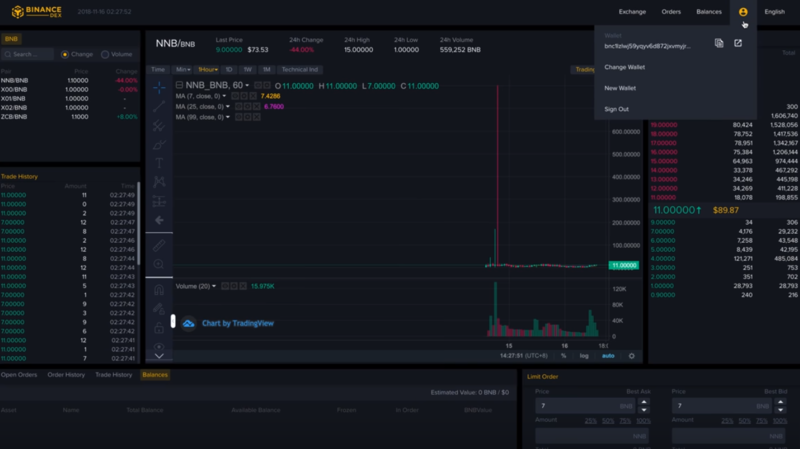 The first video demo of Binance DEX was released in August, which outlined via a command line interface the basics of issuing, listing and trading crypto assets.